Long before Lisa Frank and her technicolor Trapper Keepers arrived on the scene, Peter Max was revolutionizing the art world with his psychedelic pop imagery, paving the way for the next generation of artists. 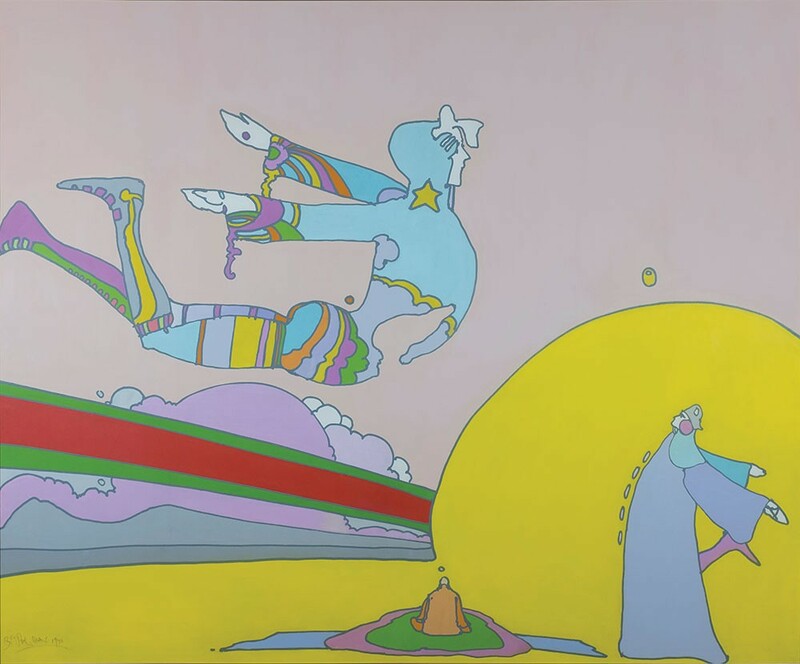 "Peter Max was one of the first artists to mass market his imagery to the public, making him an international cultural icon," says Robert Casterline, an art dealer whose collection of Max paintings will be included in an upcoming special exhibit at the Museum at Bethel Woods. Throughout the 1960s and '70s, Max's pop art career was both a mirror for the changing cultural tides and a formative force. He rejected the historic exclusivity of the art world and leaned into the commercialization of his images using bright colors and eye-popping designs. "He had his images printed on fondue pots, cups, mugs, clocks, clothing," Castlerine says. "He was really getting his imagery into the hands of consumers through whatever vehicle was allowed at the time." "Peter Max: Early Paintings," is a never-before-seen survey of the artist's work from the pivotal period between 1967 and 1972, when Max hit his stride creating visionary cosmic works that embodied the spirit of the psychedelic era. The show, which draws from the collections of Casterline and New York City restaurateur Shelly Fireman, focuses on paintings (rare for the artist, who preferred printmaking), with a selection of sculpture, drawings, and vintage fashion (think Peter Max bell bottoms). "Peter Max was the forefather of what most artists are doing today—Banksy, Murakami, Keith Haring," Casterline says. "He really was at the center of popular iconic imagery, and this is the first time a museum in US is showing his vintage work all together." As the setting of the historic 1969 Woodstock Festival, Bethel Woods is a fitting venue for a retrospective of the artist whose work personified the summer of love. This special exhibit kicks off the 10th anniversary season of the Museum at Bethel Woods and runs April 7 through December 31.